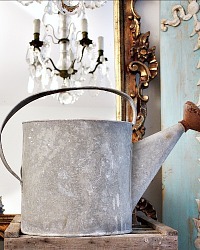 Fantastic Antique Galvanized Zinc Watering Can with a glorious patina, just as useful as the day it was made. 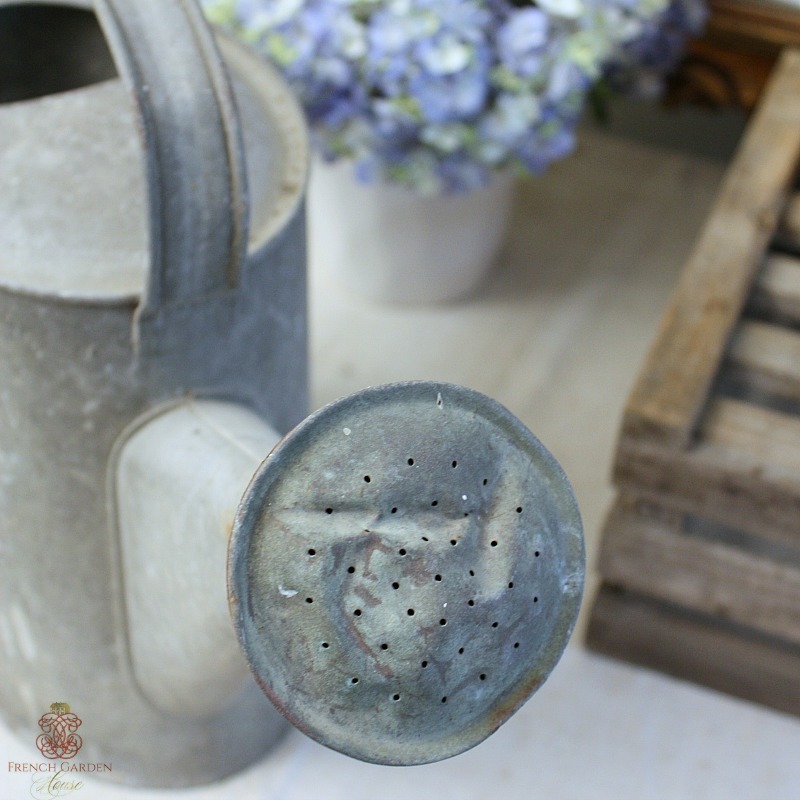 Perfect to add to your collection of hard working antique watering cans in your garden house, sunroom or garden. 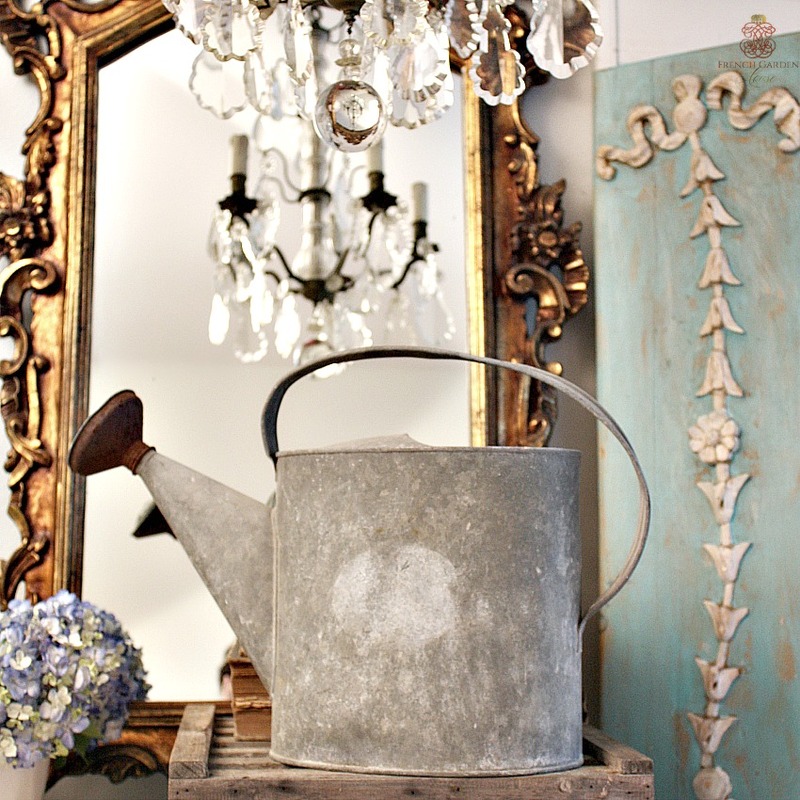 This is a little shabby, still, I couldn't resist....such a great display item, rustic french country at its best. 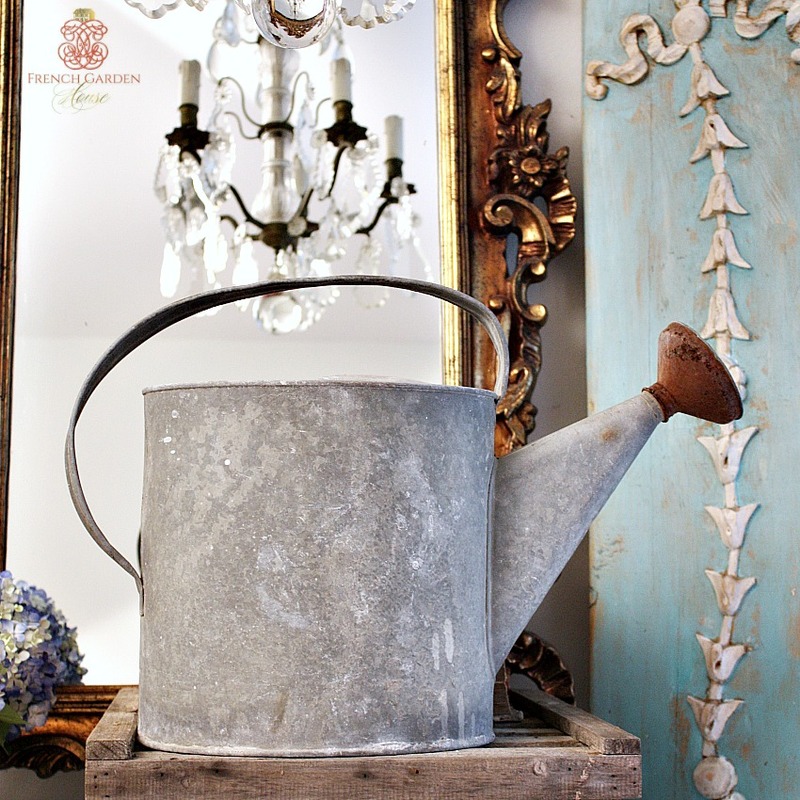 This particular watering can has a decorative well worn patina, with the original sprinkling rose, and plenty of personality! Has the graceful handle arching from the top of the can to the back. Great color, the "rose" at the end is well worn as shown. Please only buy this if you don't mind a little shabby to your green house treasures. Measures 13"h x 19-1/2" x 6-1/2".